The re-elected FijiFirst government is ready to assist the Fiji Corrections Service in developing its facilities to enhance the work of correction officers. Prime Minister, Voreqe Bainimarama made this comment while officiating as Chief Guest at the basic recruit pass out parade in Naboro yesterday. 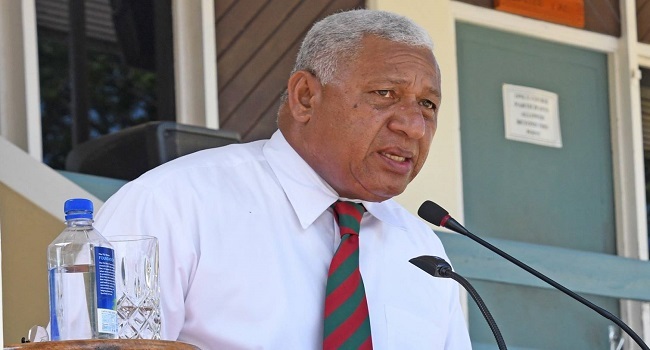 Bainimarama says officers at every correction facility need to be well equipped and versed with new technologies that are introduce to make their work easier. While speaking to the new officers, Bainimarama reminded them to carry out their work diligently and at the same time maintain a high level of transparency. Bainimarama says more needs to be done in order to improve the services delivered by correction officers all over the country.